It's time to fire up your glute muscles with this move—and all you need is a resistance band! Follow along with the video and feel the burn. It’s time to fire up those glute muscles with these Resistance Band Glute Bridges. You will feel the effects right away! To do the move, place the resistance band below or above your knees. 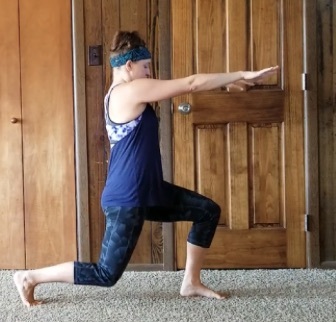 For added glute action, turn your toes and knees outward as you reach the top of the movement, then squeeze and hold. Peforrm 4 sets of 15-20 reps. Her leggings and sneakers for this video were provided by Skechers.